Is it right to worry over education for your toddler. No it’s not right to worry, however it is something that should be considered early. Kids tend to pick up things quicker while they are young. In those particular years from 1 year old upwards, infants are already learning to walk and talk and picking things up as they go along. Around this age they are learning what they can and cannot touch. They are learning to recognize shapes and faces of people who come visiting you’re home. Growing up is all a learning game for toddlers. Take advantage of this time and give them an early education by helping them to do sums and help them to learn to read and write without them knowing. You can teach kids with the help of fun time fairy tale books and educational activities. Toddlers and education is important. You don’t have to deny your baby their childhood to do this. All you need to do while they are learning all other things like walking and talking is to throw new things in there that they will benefit from. Are you worried about the issue of educating a child so young? It’s not like you are going to sit the toddler down at a desk to teach them to read and write like as if they were being taught in school, however if your infant enjoys sitting at a desk with coloured pencils and paper then sit down with them and show them how draw shapes and learn them colours, it’s as easy as that. You should never push your child into learning. When they are good and ready they will let you know. Some toddlers show signs early as if they have already been educated, but then we have other infants who are slower at picking up at things. If this is your child then more reason to think on the lines of education for your toddler. You need to spend time with him or her and have patience. A big mistake made by lots of parent when teaching their kids how to spell or recognize pictures and shapes; they tend to give up if the child loses interest. Most children will lose interest if they are not having fun. What does this tell you; yes that right, make education time with your toddler fun time too. A great way of learning an infant is with educational toys and books. You can get early learning books and educational games and other fun activities that will teach your children while they play. Building blocks with numbers and the alphabet printed on them is great way to start if you are going to try and teach your toddler their numbers or his/her ABC. Years ago learning a child to count was done with a abacus, now we have calculators to do our counting for us. Consider buying an abacus because toddlers will love and definitely learn from it. If you are looking for ideas on how is the best way to teach a toddler or for advice then go online as the information comes in a multitude of different categories, and other factor which cover all ways for teaching babies. Remember never to push your toddler but to encourage them to have fun while they learn. If you get this right you will see your toddler mithering you to play more, only unbeknown to them that you are teaching them what they need to know? Another good benefit from teaching your toddler at a young age it helps prepare them for nursery and the big school when they reach the age of five. School Subjects – Although education is vitally important, kids don’t see it this way. Not all, but the biggest majority of children hate school, end of story. For your child to get an education and excel in what they do, they need to be learning what it is they enjoy. Sadly in schools this is difficult because children have to learn other school subjects other than the one they are dedicated too. You could do with explaining to your child that when they first start school and become a pupil in the infant school, junior school, right up to secondary modern or grammar, that in schools, it is the norm to learn about other things, and that it is expected of every child, and not just them. By letting the kids know before they start school that they just cannot do what they like to do will help prepare them. School subjects vary and who knows they may even get to like other topics set out for them to learn about. School subjects come in wide assortment, and every subject is most beneficial for every student or pupil, however and once again the children might not see it this way. Most common school subjects kids know about or will have heard of is, English and maths, both matters utterly vital to help a child get a job when they leave school or just in general want to get on in life. If you can’t read a book or write your name or able to do your sums then everyday you may find trying to get on with your life, one big struggle. Most schools will have lessons that include your child learning another language like French German and Spanish. Depending on the school and its rulings will determine which language they teach the children. Author allabout1Posted on January 23, 2019 January 23, 2019 Categories SchoolLeave a comment on How to Chose School Subjects? How Teaching Children Educational Games? 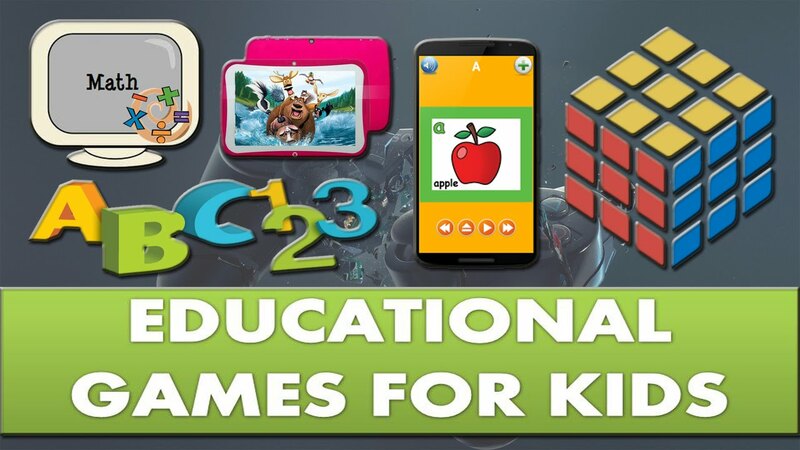 Educational games for teaching children. Is this a good idea while trying to teach a child their numbers or whatever, that they play games at the same time? We are not talking about your average game of eye spy or hide and seek. Educational games are not at all anything like what you think. They are purposely created to help parents teach their kids, and into the bargain make it a very simple process too. If you give this option for teaching your children a chance you can bet you won’t look back, as kids can learn a lot from them. Educational games come for every age group from toddlers upwards, they can learn to count, and read and write while having fun. Everyone knows kids’ like having fun, and they can have this while being educated at the same time. You can purchase learning games specially created for children ages 2, 3 and 4 upwards, and over. Various games teach lessons for specific age groups. Particulate educational games may include shapes, letters, numbers, manners, animals, nature, personal hygiene, measuring, safety and many other subjects that kiddies love. The vast majority of games found online you will find the parents will love too, and older children in the house if there is more in family. Reading and literacy games are very popular along with word puzzles and word games. Online educational games are worth considering as away to help teach your kids. A lot of parents worry over the safety of their child when at a computer, and this is understand when you read about all the scary stories you hear. However are you aware that you as the parent have control of where they visit on the internet? You have what is called parental control. You can enable this on your computer so your kids don’t wander away from the page they are using to learn from. Depending on the Childs age certain games may not be suitable. If your child is of toddler age then building blocks and colouring books with pictures are common toy time activities parents give to their kids. But the only problem is – is, that is all most of them do, they just give them to the kids instead of sitting down with them and teaching them about the letters and numbers and pictures. If you want to give you child a good start in life then have patience and show them the way, if not they have to wait till they are five years old, and have stranger try and teach them how to write their name. I am pretty sure your infant would love mummy or daddy to do this. Educational games are ten penny on the internet. You can get downloadable educational games that are quick and instant to obtain so that you can get started straight away and give your kids their first lessons at home. Remember that at a later date when you’re kids are all grown up they will thank you for this. Author allabout1Posted on January 23, 2019 January 23, 2019 Categories Educational Games1 Comment on How Teaching Children Educational Games?